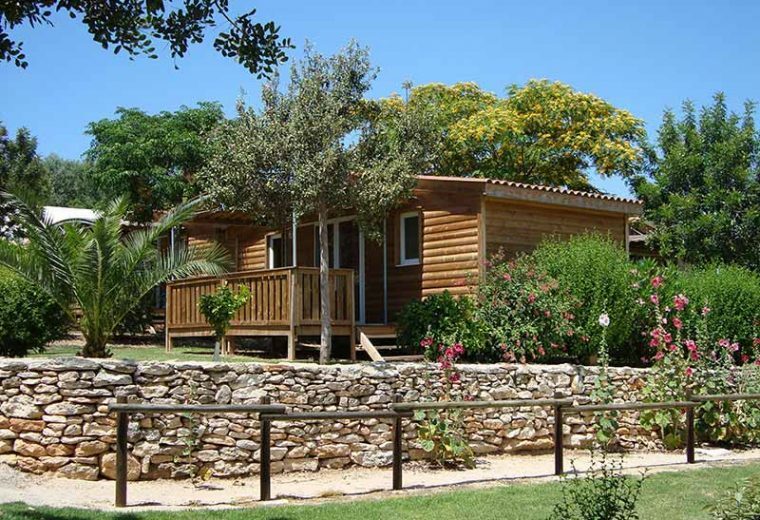 Choose the mobile home that suits you, and enjoy your holidays in Spain! 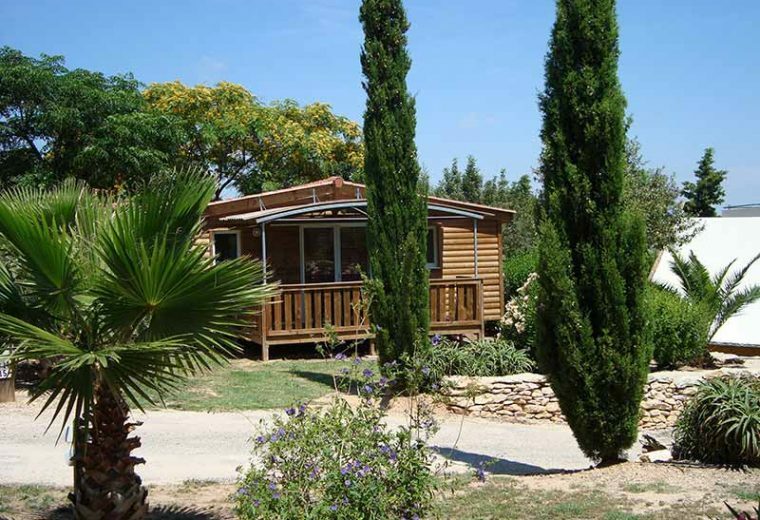 Located outside the traditional village of Càlig and near Peñiscola, listed among the most beautiful villages of Spain, the Orangeraie Campsite fits harmoniously into the pristine landscapes of the community of Valence. 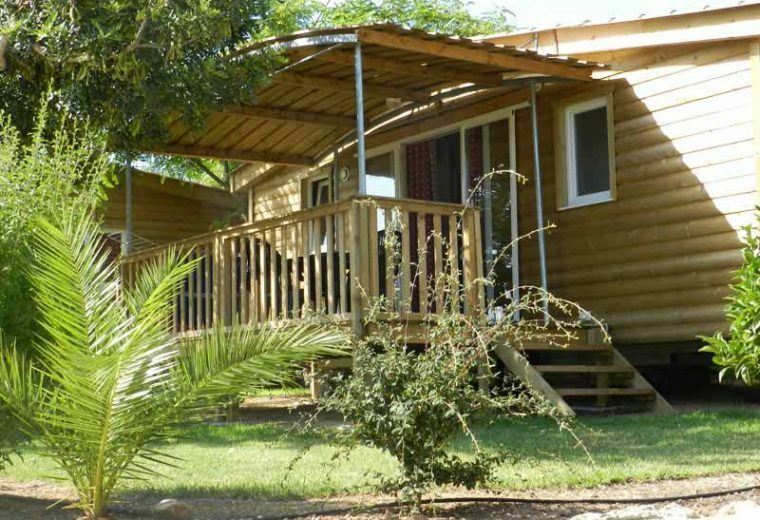 Located in the heart of the almond, olive, orange and other fruit orchards, our campsite offers rental accommodation with charm: our mobile homes with wooden cladding occupy individual wooded plots, ranging from 120 m² to 150 m². Real little gardens, our rental plots are covered with lawnsfor children’s games and offer everyone a place to relax. They are also separated by hedges to offer you the most privacy. Your mobile home in Spain is also equipped with an electric barbecueon which you can prepare your grilled meals. By choosing to stay in a rental accommodation, you can enjoy everyday comfort and holidays outdoors. A shady wooden terrace allows you to eat or relax outdoors while staying out of the sun. 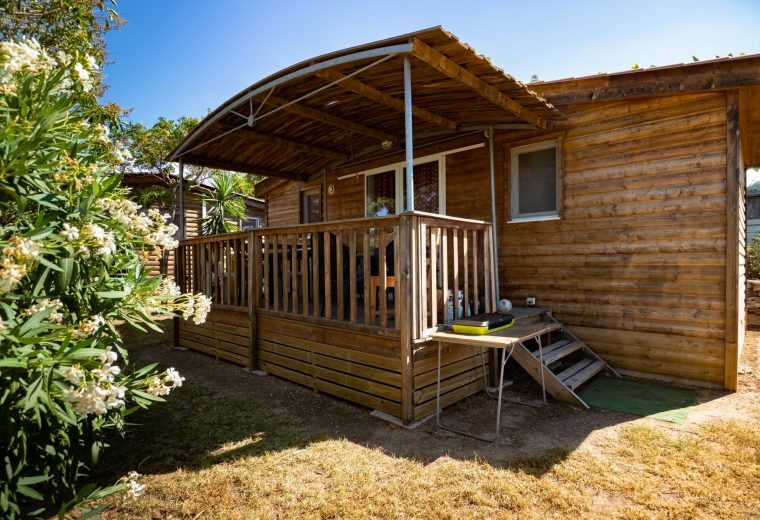 Renting a mobile home at the Orangeraie Campsite is an ideal starting point to enjoy the Costa del Azahar and to visit the region of North Valence. to 6 people with their two bedrooms including a double bed and two single beds and a lounge equipped with a convertible sofa-bed. The kitchen, with its practical arrangement, enables you to prepare your meals onsite : equipped with hotplates, a refrigerator and a freezer, it makes family holidayseasy. 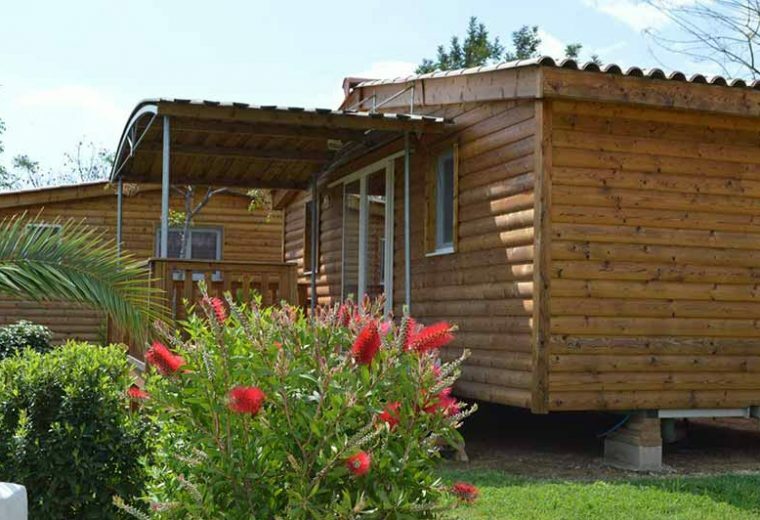 Always for your comfort, the mobile homes of the Orangeraie Campsite have a bathroom with shower and washbasin, as well as a separate WC/toilet.All our rentals are also equipped with air conditioning and heating. All our rentals are also equipped with air conditioning and heating. To remain connected during your holidays in Spain, you also have a television and a Wificonnection. Deposit of €100 on arrival.